Activision and LG team up on the release of Black Ops 2 3D. With the launch of the new Black Ops 2 fans will receive a discount from LG if they purchase both an LG Cinema 3D TV and the new Call of Duty Black Ops 2 game. The promotion will run from November 13 to Novemember 21. James Fishler, senior vice president, marketing with LG Electronics USA, Inc. said LG was excited to be part of this historic launch of Call of Duty Black Ops 2. 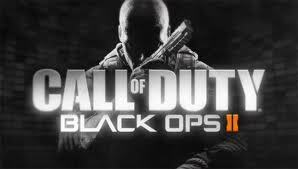 Starting today fans of Call of Duty Black Ops 2 will be able to check out the new trailer in 3D at local Best Buys. The current press release and online articles tout the seamless intergration of the new Call of Duty Black Ops 2 in 3D with the new LG Cinema 3D TV, but I’m sure the game will work just as well on 3D TVs that support active shutter glasses. Its great to see that such an important game franchise such as Call of Duty is going 3D. It siginals and solidifies the position and attitudes of major gaming and electronics manufactures toward the future of 3D. Looks good! Give us your thoughts on 3D gaming. of the articles I realized it’s new to me. Anyhow, I’m certainly pleased I found it and I’ll be bookmarking it and checking back frequently!